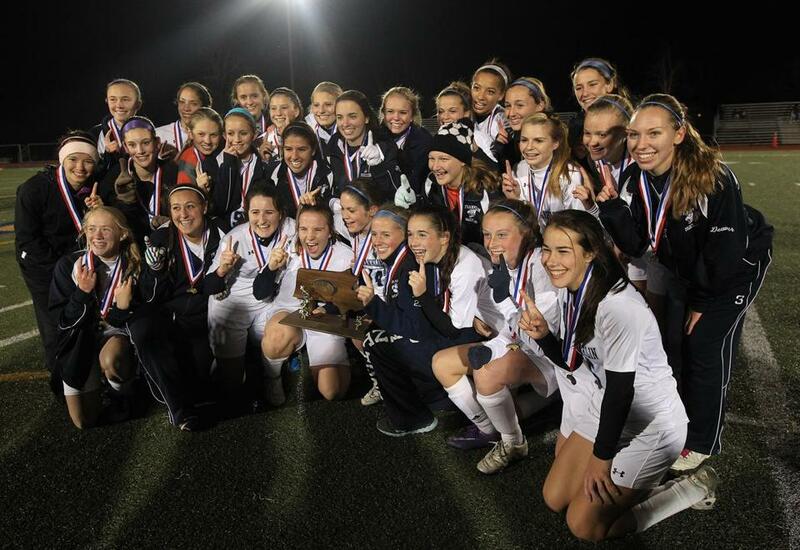 Franklin girls celebrated a state title after a 2-1 win over Nashoba in the title game. Kirshe scored 40 goals during the Panthers’ run to their first Division 1 state title. She capped her senior season by winning Hockomock League (Division 1) MVP honors and finishes with 102 goals and 44 assists. She will attend Williams. Berman earned All-American honors thanks to a 46-goal, 14-assist campaign. The senior striker (and two-time All-New England team member) finished as a three-time Hockomock League MVP, netting 136 goals and 40 assists. She will play at Maryland in the fall. Conway posted a 0.57 goals-against average this season, helping the Clippers advance to the State Division 3 semifinals. She earned a spot on the All-New England team and was the Division 3 Player of the Year. She has committed to Boston University. Aha earned IGC MVP honors for the second straight year, helping Montrose defend its league title. She tallied 32 goals and 25 assists to lead the league in scoring for a fourth straight year. She also plays basketball and hopes to play soccer in college. Andrew departs as a four-time Hockomock League All-Star with back-to-back trips to the Division 1 South final. The senior midfielder, who plans to play at Providence next season, finished with 60 career goals. Berche netted 20 goals this season to finish her career with an even 50. The forward was named the South Coast League’s Offensive Player of the Year and to the All-New England team. She plans to study nursing in college. Boegel netted 22 goals and 11 assists in her senior season with the Warriors. She graduates having had a hand in 44 goals in her career (30 goals, 14 assists). The EMass All-Star has committed to play soccer at Fairfield. Borkan finished her career 67-6-16 in net for the Warriors, with two Division 2 state titles. This season she posted a 0.43 goals-against average and was named the Tri-Valley League MVP. She’s committed to play at the University of New Hampshire. The senior defender won Merrimack Valley Conference MVP honors, helping the Raiders hold opposing teams to a 0.6 goals-against average. Also named to the All-New England team, she plans to play for Holy Cross next season, where she’ll be pre-med. The senior fullback earned Northeastern Conference MVP honors by anchoring a defense that held opponents to just three shots and 0.4 goals per game. She also contributed five goals and eight assists in her career. Dowd was slowed this season by a hamstring injury, but still managed 27 goals and 13 assists. In her four years, the striker (who was last year’s Division 1 Player of the Year) finished with a school-record 204 goals and 56 assists. She will attend Boston College. Harty broke her coach’s (Kristin Simpson) single season scoring mark at Beverly, finishing with a Massachusetts-leading 50 goals and 12 assists. The striker, who is also first in her class academically (4.73 GPA), found the net in 19 of the Panthers’ 22 games this season. Hennessey’s sport of choice is lacrosse (which she will play at Harvard), but she was a Middlesex League All-Star in soccer, finishing with six goals and 11 assists from her center midfield position. She was also named to the All-New England team. Henry helped lead Hotchkiss to an 11-4-3 record and a trip to the semifinals in the New England Championships, the school’s first tournament appearance in five years. She is also a Founders League all-star in track and enjoys writing for the school newspaper. Lehan helped control the defense from her center back spot helping Rivers to a second-place finish in the ISL and Class B NEPSAC tournament. She earned All-State and All-League honors and was named ISL defensive MVP. A high honor student, she also plays basketball. McCauley was virtually unstoppable this season, leading Chase Collegiate to a 21-0 mark. She scored 79 goals, giving her 123 for her career. A high honors student, she plays club soccer for Allerton and hopes to continue playing in college. McDonough earned ISL offensive MVP and All-American honors, tallying 11 goals and seven assists in helping Govenor’s to the NEPSAC Class B championship for the second straight year. The high honors student will attend Pittsburgh. O’Brien leaves as the Patriots’ all-time leading scorer with 105 goals and 30 assists (passing Heidi Comeau, who finished with 80 career goals in 1979). An All-American the past two seasons, she had 30 goals this season. She’ll play for Boston College in the fall. A three-time Tri Valley League All-Star, Orteganotched nine goals and seven assists this season while anchoring the midfield. She has helped theRaiders reach at least the Division III South semi-finals in each of the last three seasons (State Champions in 2011). The Rockets’ captain earned Bay State League MVP honors and was named to the All-New England team in her final season. A central defender, Raskind anchored a Needham back line that surrendered less than a goal (0.7) per contest. Rosales was an offensive machine, netting 30 goals and averaging 2.5 goals per game to help Newman to the GIL title for the second straight year. A National Honor Society member, she also plays basketball and lacrosse and hopes to play soccer in college. The three-sport standout earned MVP honors, helping Lexington Christian to the EIL championship. A two-year captain, the Billerica resident is also an EIL All-Star in basketball and softball. A National Honor Society member, she also enjoys art and reading. Geysen, who’s coached the Panthers for 28 seasons (329-151-71), got to celebrate his first Division 1 state title this season. The Panthers also became the first girls’ soccer team from Franklin to go unbeaten, posting a record of 20-0-1. Hendee’s 25th season as coach was the Wildcats’ most successful as they finished 15-4-3 and advanced to the Division 2 North final after winning the Middlesex League (Freedom) championship. Hendee’s defense held opponents to a Middlesex League-best 0.8 goals per game. Forte has transformed the Ursuline program in his eight seasons and led the Bears -- who play an independent schedule -- to a 16-2-2 record this season. A 1976 graduate of Xaverian, Forte has amassed a record of 76-57-16. Atlantic Coast — Falmouth: Shauna McManus, Michaela Moran. Marshfield: Michaela Cantwell, Jill Clapp, Laura Cowie-Haskell, Erin Shea, Brooke Sweeney. Nauset: Katie Sullivan. Plymouth North: Madison Finlay, Francesca Lapsley, Isabelle Lapsley, Hannah Peterson, Meghan Walsh. Plymouth South: Alyson Messina, Olivia Parsons, Maureen Riordan. Sandwich: Kenna Garrison, Katie McKenna, Theresa Wojnar. Bay State — Braintree: Siophie Lev, Sinead O’Callaghan, Jen Xu. Dedham: Andrea Bradbury, Emily Hill, Kayla Sharpe. Framingham: Olivia Bernas. Milton: Molly McDonough. Natick: Haley Reddish, Kira Wilkins. Needham: Kira Oberle, Alyssa Raskind, Kayla Steeves, Natalie Wong. Newton North: Christina Callahan, Shannon Fitzgerald, Jordyn Matthews. Walpole: Abby McMackin, Ella McMackin. Wellesley: Sabrina Hartnett, Annie Valle, Bianca Webb. Weymouth: Gabi Tor-McCue. Big Three — Durfee: Jalyn Bonanca, Tori Borges, Bailey Brooks, Brianna Camara, Molli Fellows, Jenna Melo. New Bedford: Julia Cormier, Alexis DeBrosse, Kaitlyn Lima, Taylor Souza. Boston City — Boston English: Aida Cornier, Brankely Garcia, Trayana Mair. Brighton: Love Awah, Christy Cruz, Emma Lama. Burke: Steice Docanto, Deahjah Francoeur Gardner, Jessica Semedomatins. Charlestown: Ayan Abdi, Sarah Centeio, Janiel Gordon. CASH: Suad Diriye, Jaela Ruggs, Kayla Simmons. Dorchester: Mirlande Philogene, Sandy St. Felix, Kaylin Thomas. East Boston: Brittany Brancato, Hannah Lunetta, Mariah Roberts. Latin Academy: Virginia McCaughey, Samantha Powell, Sandra Seoane-Seri. Madison Park: Heidymara Gomes, Olga Menjivar, Dulcelina Tavares. New Mission: Alison Davey, Peria Lara, Bonnie Ramos. O’Bryant: Yonetta Harris, Ajyanna Jones, Gabrielle Martinez. Snowden: Stephanie Morales, Yailen Pineda, Cheyenne Sulfaro. South Boston: Rafaela Risso, Chelsea Rogers, Daitannah Smith. West Roxbury: Hiba Kafel, Elizabeth Lewis, Makala McPherson. Cape Ann — Amesbury: Megan Cullen, Erin Leary, Emily Martin. Georgetown: Jamie Block. Hamilton-Wenham: Taylor Morong, Suzanne Rose, Alana Vecchiarello. Ipswich: Maddie Howe, Courtney Long. Lynnfield: Shannon Lamusta. Masconomet: Paige Pratt. Newburyport: Alyssa Leahy, Isabella Palma, Jaycie Triandafilou. North Reading: Meredith Moise. Pentucket: Alex Moore. Catholic Central — Archbishop Williams: Paige Canavan, Jackie Grasso. Arlington Catholic: Paige Prokop, Caroline Smith, Alana Zucco. Austin Prep: Kaitlin Delaney, Olivia Zizza. Bishop Fenwick: Gina Fantozzi, Rose Fantozzi, Ali Macdonald, Becky Mercuro. Cardinal Spellman: Julianna Bois, Hannah Lipinski, Julia Scnider, Sydney Stengel, Sammi Zina. Cristo Rey: Jenna Marucci. Lowell Catholic: Haley Callahan, Brianna Fiorentipo, Courteney Lanier, Maddie Medina, Taylor Patterson. Marian: Valerie Enge, Victoria Hesse, Mackenzie Sparling, Tyler Sparling. Matignon: Taylor O’Bryne. Pope John: Rachal Amaral, Julia Bosco, Maggie McCormack. St. Clement: Jessie Jepson, Maria Martinez. St. Joseph’s Prep: Emily Dello Russo, Megan Peterson, Sarah Smith. St. Mary’s: Maggy Carey, Jennie Mucciarone, Victoria Viger. Commonwealth — Lynn Tech: Roxanna Diaz, Daylin Munoz. Minuteman: Lindsey McBride, Rebecca Pierce, Emma Rich, Morgan White. Mystic Valley: Krystiana Dimaro, Meghan Foley, Amanda Kerner, Jackie Lane, Kathryn McPherson. Presentation of Mary: Liza Giangrande, Marissa Santarelli. Dual County — Acton-Boxborough: Maya Jorastchuk, Shannon McMillan, Kaitlyn Spanger. Bedford: Sarah Cowles, Bethany Rennich. Boston Latin: Zeo Crawford. Concord-Carlisle: Allie Barrett, Emma Brandhorst, Halle Burns, Angela DeBruzzi, Michaela Haller, Maila Kodas, Andrea O’Brien. Lincoln-Sudbury: Megan Addeo, Cassidy Boegel, Katie DaSilva, Eliza Guild, Leah McCullough, Hannah Rosenblatt, Katie Sia. Newton South: Jina An, Tamar Bulka, Alekhya Shaparala, Tori Swartz. Waltham: Maria Baras, Talia Frazier. Wayland: Morgan Fletcher, Maddy Jones, Michaela Moynihan, Sarah Nuss, Natalie Shear. Westford: Bailey Ditcham, Leah Gicalone, Samantha Hyslip, Caitlyn Paltsios, Lauren Steele. Weston: Jackie Foody, Hannah Graves, Maddie Linde, Sarah Peters. Eastern Athletic — Bishop Feehan: Madison Jolin, Elizabeth Kawa, Andrea Luongo, Samantha Ross, Morgan Silveira. Bishop Stang: Casey Meisner, Andrea Rego, Nora Saunders. Coyle & Cassidy: Siobain Dermody, Lauren DeSouza. Somerset Berkley: Jen Mitton, Sarah Pacheco, Abbey Sadlers. EIL — Bancroft: Emma Fortier. Beaver Country Day: Maria Zecca. Berwick: Aimee Briand, Brooke Downey, Cora Ordway. Concord Academy: Charlotte Weiner. Dana Hall: Emily Dumont, Caroline Jahrling. Lexington Christian: Amanda Namchuk, Kesha Porter, Kallan Roys, Shae Roys, Courtney Teehan, Sarah Woods. Newton Country Day: Elizabeth Marano, Meredith Sullivan. Pingree: Charlotte Esty, Jackie Maren, Katlyn Oliver, Kerri Zerfoss. Winsor: Nicole Cerulli, Jenna Gustafson, Delancey King, Taylor Lynn-Jones. Greater Boston — Cambridge: Anna Klug, Eleanor McCarthney, Imogan Nelson, Phoebe Rueben. Everett: Juliana Martins, Kayla Ringdahl. Malden: Anita Caceda, Stevie Klein. Medford: Olivia Allison, Kly Goncalves, Korey O’Rourke, Adrienne Porrazzo, Katherin Timmins. Somerville: Alyssa Hachey, Natalie Henrique, Ella Tyler. Hockomock — Attleboro: Erin Woodhead. Canton: Lauren Berman, Bri Duserick, Megan Lennon, Kim McNally. Foxborough: Eva Mazzoni, Danielle Roma. Franklin: Taylor Cogliano, Nicole Ellin, Kristi Kirshe, Steph Pisani. King Philip: Jane Bingel. Mansfield: Abby Broyles, Julia Jones. Milford: Julia Masionis. North Attleborough: Nikki Chretien, Jamie Grinavic, Sarabeth Parent. Oliver Ames: Kendall Andrew, Kate Holleran, Nicole Taylor. Sharon: Samm Alves, Lily Arbaranel, Meg James. Stoughton: Niamh Fennessy. Taunton: Tayla Morias. IGC — Brimmer & May: Heather Gates, Kristin Gates, Maddie Guevara. Cambridge Weston: Jackie Holmes, Zoey Perse. Chapel Hill: Huan Boches. Gann Academy: Missy Kintish. Landmark: Kendall Butler, Rachel Smith. Montrose: Olivia Aha, Katherine Casey, Kathleen Lockhart, Megan St. Martin. Waring: Amanda Adams, Eleanor Lustig. Woodward: Feenish Mulkerrins. ISL — Brooks: Sarah Bresette, Abby Hammerl, Emilie Klein. BB&N: Samantha Gottlieb. Governor’s Academy: Jackie Ham, Kendall Ham, Siobhan McDonough. Groton: Christina Napolitano, Dorrie Varley-Barrett. Lawrence Academy: Shannon Johnson-Finn. Middlesex: Sophie Vitzthum von Eckstaedt. Milton Academy: Jessica Li, Chandler Quintin. Nobles: Brigit Bergin, Julianna Chen. Rivers: Meghan Lee, Maclaine Lehan, Nicole Wilkins. St. George’s: Shannon Leonard. St. Mark’s: Royce Light. St. Paul’s: Madison Crutchfield. Thayer: Genevieve Packard. MBIL — Elizabeth Seton: Meghan Forde. Mass. Charter — Boston Collegiate: Kerianne Folan. Foxborough Charter: Jackie Ireland, Caroline Rudd. KIPP Academy: Alexandra Huffman. Pioneer Charter: Jada DeAndrade, Sabrina Khafif, Kelly Powers. Prospect Hill: Talia Aronson, Martely Carrera, Klara Manz-Siek. Salem Academy: Lydia King. 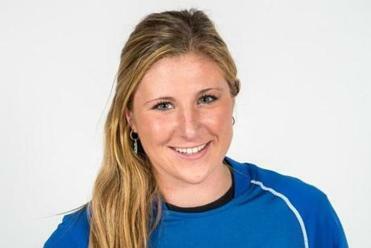 South Shore Charter: Katie McCormack. Mayflower — Avon: Nicole Berry, Maggie Duggan. Holbrook: Ceara Kelly. Norfolk Aggie: Aliana Braken, Kellie Couite, Sarah Gardiner, Pramila Murray, Briana Obshatkin. Old Colony: Carly Ciccatelli, Amanda Frey, Alex Gordon. Upper Cape: Brianna Rozell. West Bridgewater: Nicole Jorritsma, Christine Schondek, Frankie Sheedy, Brooke Wojciechowski. Merrimack Valley — Andover: Jackie Alois, Olivia Biles, Michelle Gagnon, Lily Puccia. Billerica: Stephanie Ternullo. Central Catholic: Maggie Carey, Stephanie May, Alexa Poulin, Aly Spencer, Courtney Walsh, Alli Wiggins. Chelmsford: Kayla Loycano, Brianna Raymond. Haverhill: Kelleigh Cokely. Lowell: Trisha Luis. North Andover: Eleni Coufos, Pam Coufos. Tewksbury: Nicole Chaet. Middlesex (Freedom) — Burlington: April Adams, Katie Han. Melrose: Olivia Downey, Natalie Kendall, Carolyn Ragon. Stoneham: Carli Buono, Morgan Havican, Marianna Lacolla, Amanda Mohammadi. Wakefield: Abbey DiCredico, Katelyn Manning, Alana Parsons. Watertown: Gabrielle Coppola. Wilmington: Alex Bischoff, Kaitlyn Curley, Lauren Mckenna, Holly Niemiec. Middlesex (Liberty) — Arlington: Maria Cali, Katia Dunlap, Gabi Galvin, Sabrina Morais. Belmont: Maria Alice Meratas, Alexandra Cellucci, Julia Russo. Lexington: Dana DiModica, Annelisa Driscoll, Kristen Fiore. Reading: Emily Collins. Winchester: Megan Hennessey, Deirdre Macarorie, Nina Mitch, Katherine Zavez. Woburn: Leann Dimauro, Allie Santullo. Northeastern — Beverly: Casey Cook, Diandra Crowley, Eva Gourdeau, Caitlin Harty, Kristen O’Connor. Danvers: Leah Ciampa, Jackie Morse, Emily Murphy, Kylie Plaza, Shannon Pohle, Delaney Zecha. Gloucester: Katie Ciaramataro, Kali Cook, Bianca Giacolone, Melody Orrell, Elle Wierbicky. Lynn Classical: Krista Cuozzo, Francesca Galeazzi. Lynn English: Marnie Blondi, Kahssa Burton, Abbie Martocchio. Marblehead: Mia Bongiorno, Cassie Rodgers, Rebecca Unterborn. Peabody: Cayla Bucci, Kara Digiacomo, Victoria Digiacomo, Madison Doherty, Hayley Dowd, Bianca Muscato. Revere: Raychel Andreani, Dayna Brown, Paola Ortez. Salem: Alix Bryant, Deema Hijleh, Katherine Towey. Saugus: Andrea Davis, Jackie Russo, Olivia Turgeon. Swampscott: Erin Cassidy, Leah Dawley, Tess Gorman, Meghan Hartmann, Sam Rizzo, Mackenzie Robertson. Winthrop: Mackenzie Chiudina, Liana Ferullo, Emily O’Leary. Old Colony — Bridgewater-Raynham: Kiara Ketchuck, Nerida Montrond, Lauren Sever. Patriot — Duxbury: Gabbie Davis, Nicole Gavin, Laura Nee, Emily Wiemer, Megan Zavcerucha. Hanover: Karley Atturio, Madison Plummer, Janet Taylor, Alicia Varraso. Hingham: Carly Baggot, Jane Freda, Julia Patterson, Abby Phelan. Middleborough: Olivia Nicholson. North Quincy: Courtney Campo, Lauren Campo, Shannon McCleary, Arianna Viscione. Pembroke: Christen Cahill, Tessa Kell. Quincy: Kayla McArdle. Scituate: Erika Badger, Katelyn Fougere, Hannah Hoffman, Meghan James, Rachel Sandham, Anna Talbot. Silver Lake: Andrea Roche, Michelle Staples, Jackie Tomasello. Whitman-Hanson: Hayley Bukow, Yasmin Civan, Lauren Clark, Alyssa Eaton, Nicole Galewski, Lily Higgins. South Coast — Apponequet: Meghan Bealka, Andrea Chaput, Abby Couto, Taylor Ryan. Bourne: Courtney Muttart. Case: Tayla Chaput. Dighton-Rehoboth: Sam Rodrigues. Fairhaven: Kayli Berche, Emma Morehead, Cecille Pereira. Greater New Bedford: Amanda Leite, Tori Vargas. Old Rochester: Sarah Beaulieu, Hannah Bouvette. Seekonk: Julia Downing, Kim Marques. South Shore — Abington: Mackenzie Gillis, Alicia Reid. Carver: Kerri Alexander, Allie Guimares, Sami McGrath. Cohasset: Emmy McGoldrick, Emily Rosano. East Bridgewater: Rianna Fasanello, Mackenzie Kingman, Sarah Stetler, Brooke Troup. Hull: Colleen Connolly, Stephanie Striglio. Mashpee: Jackie Lynch, Samantha MacRae. Monomoy: Savannah Chase, Sarah Reardon. Norwell: Bridget Conway, Grace Gunning, Rachel Talanian, Maddie Ward. Rockland: Julia Matson. Tri-Valley — Dover-Sherborn: Jackie Goudreault, Victoria Ortega. Holliston: Kylie Lorenzen. Hopkinton: Meghan Beidleman, Leah Holmes. Medfield: Mimi Borkan, Ali Gold, Katelyn Murray, Jen Narlee. Medway: Brianna Morgan. Westwood: Marina Burke, Ebru Hazar.